Cooking doesn’t have to be complicated. We’ve recently improved on our groundbreaking Ti-Ceramic technology and design to make plating perfectly cooked food simpler than ever. Food slides right out of the non-stick pan for flawless presentation without spills or scraping. Our wide pans can handle everything from stir-fry to steak, and even withstands up to 500°F in the oven for even, stick-proof baking. You can skip breaking out extra bowls for whisking and mixing; the Gotham Steel Skillet is made to stand up to metal without scratching so you can prep your food right in the pan. Cleanup is often as simple as a quick wipe-down, but the Gotham Steel Skillet will be just fine in the dishwasher. 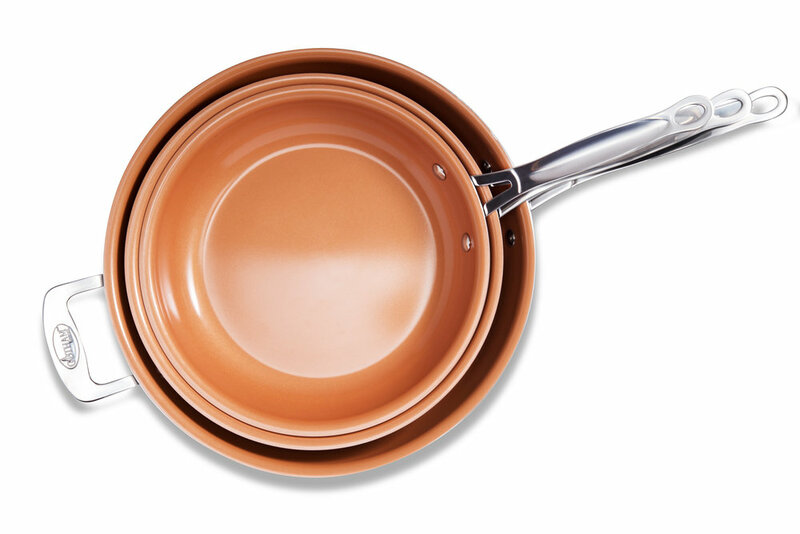 The safety of your food is important to us, so all of our cookware is PTHE/PFOA/PFOS-free. 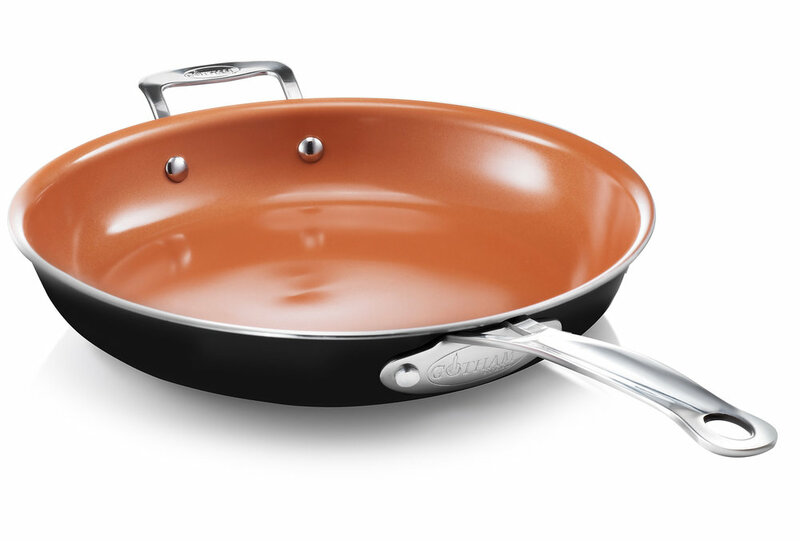 Our pans are made with a sturdy stainless steel handle that we’ve engineered to be cooler to the touch than most, but please take appropriate safety precautions to avoid burns. The Gotham Steel Skillet is made for electric or gas stoves. An induction-safe version is available.